At Le Chic Beauty Clinic we believe your face is the future, you will not get a second chance to make that all important first impression. We strongly believe that if you believe in yourself all things are possible, that's why we make it our mission to improve your overall appearance and thus improve your confidence giving you the feeling you can conquer anything and take on the world as it is a very stressful place to be in. 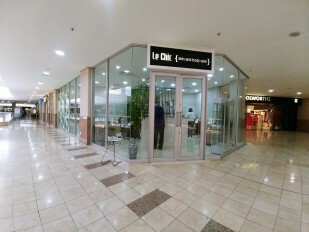 At Le Chic we strive on giving you the best service that is why we allocate more staff per client to give you the overall pampered feeling, in just an hour you can have a Babor classic facial, manicure and Pedicure, so for all the individuals with no time on their hands you can have your beauty boost without having to spend a whole morning in the salon.